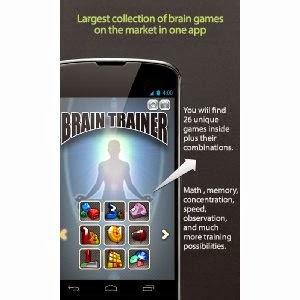 Today only you can get the Brain Teaser Special Pro Android App for FREE! Available game modes: math ninja, save ninja, letter sequences, number sequences, memory trainer (pictures), math workout 1 and math workout 2 game modes, math madness, speedy shapes, memory letters, memory numbers, tricky colors, memorize 123, 3D CUBES, target mode, phone numbers, question mode, 18 session modes...sudoku of course and other modes like puzzle. Supports move to SD card.